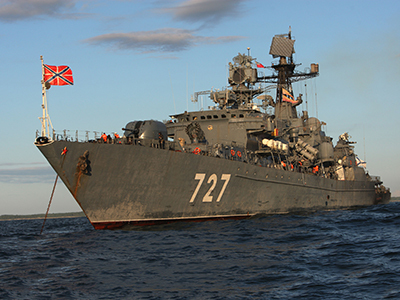 Warships from Russia’s Pacific Fleet have entered the Mediterranean for the first time in decades. Russia’s Navy Chief says the task force may be reinforced with nuclear submarines, as the country starts building up a permanent fleet in the region. “The task force has successfully passed through the Suez Canal and entered the Mediterranean. 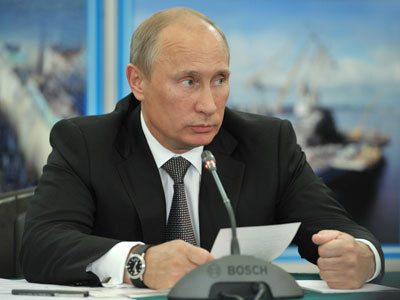 It is the first time in decades that Pacific Fleet warships have entered this region,” the Pacific Fleet spokesman, Capt. First Rank Roman Martov told RIA Novosti. The vessels are now heading to Cyprus and will make a port call in the city of Limassol, he added. 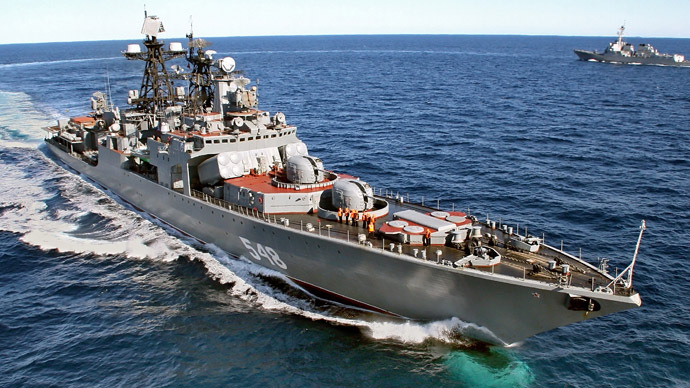 The group includes destroyer Admiral Panteleyev, two amphibious warfare ships Peresvet and Admiral Nevelskoi, as well as a tanker and a tugboat. 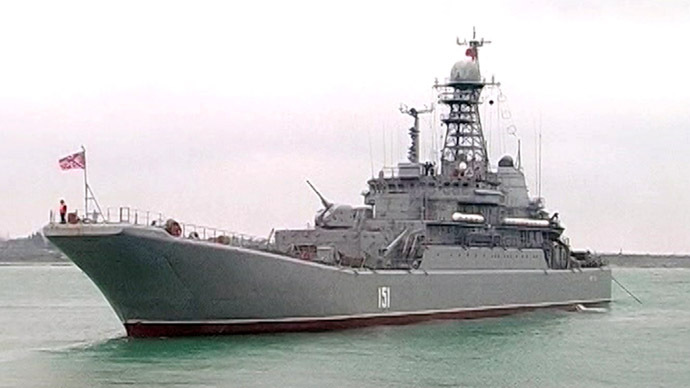 The ships left the Far-Eastern port city of Vladivostok on March 19 to join Russia’s Mediterranean task force, which currently consists of vessels from Northern, Baltic, and the Black Sea Fleets, including a large anti-submarine ship, a frigate and a Ropucha-II Class landing ship. Russian Navy Commander Adm. Viktor Chirkov on Sunday announced plans for the Mediterranean task force and said that it may “possibly” be enlarged to include nuclear submarines. “Overall, already from this year, we plan to have five or six warships and support vessels [in the Mediterranean Sea], which will be replaced on a rotating basis from each of the fleets – the Black Sea, Baltic, Northern and, in some cases, even the Pacific Fleet. Depending on the scope of assignments and their complexity, the number of warships in the task force may be increased,” Chirkov said, as quoted by RIA Novosti. Russian submarines may be deployed in the region “in perspective,” the Navy Commander said, reminding that both nuclear and diesel submarines were present in the Soviet Union’s 5th Mediterranean Squadron. “Everything will depend on the situation,” Chirkov said, also leaving the door open for missions in the Atlantic and Indian Oceans. The task force will be “comprehensively trained” to meet situations that may arise in these regions too, he said. 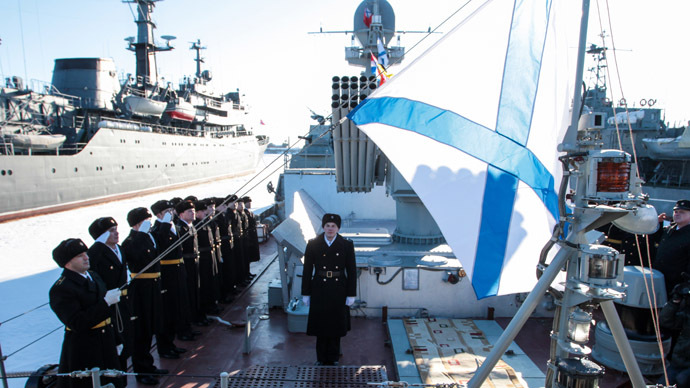 The Russian Defense Ministry announced setting up a naval task force in the Mediterranean in April, while the country’s Defense Minister Sergey Shoigu has said a permanent naval task force was needed to defend Russia’s interests in the region. The permanent fleet’s headquarters will be set up in the summer of 2013, although their actual location is yet to be announced. The Mediterranean has recently become a hotspot of military muscle flexing as global powers seemingly vie for influence. NATO has been staging major naval war games involving several countries, last October holding an exercise code-named Noble Mariner 12. Russia held its largest naval exercises in the region this January, with drills spanning both the Black and Mediterranean Seas. The media quickly linked both the NATO and Russian war games to the situation in Syria. 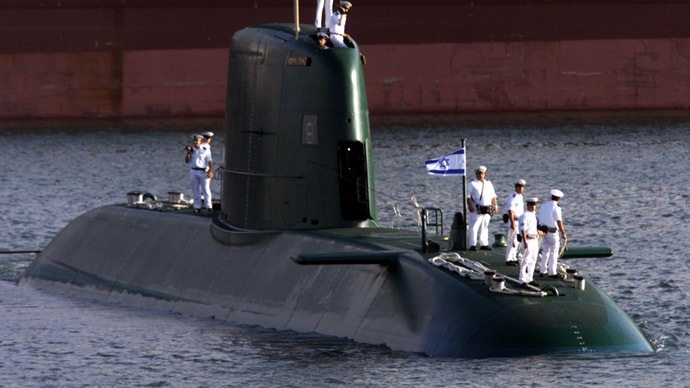 Another recent naval display, seen as provocative by Israel, was the deployment of the Iranian Navy’s 24th Fleet to patrol the Mediterranean and convey a “message of peace.” Since then, Israel has acquired its fifth Dolphin-class submarine allegedly capable of launching cruise missiles with nuclear warheads. China has also been increasing its involvement in the area, with the country’s warships sailing through the Suez Canal, and several key ports of the region becoming partially China-owned. Major naval groups serving in the Mediterranean Sea include NATO’s Standing Maritime Group 2, French Naval Action Force, and the US Navy 6th Fleet. The only Russian naval installation in the region has for decades been the maintenance facility in the Syrian city of Tartus.